Because the game could turn out so good until your hands could not leave the computer. Even if you want to pee or if you have not showered in three days. Now my whole room smells of urea and three days non-washed male body odor. I think i need someone need to take a crowbar and un-stick me from imagining computer and make wake me up from imagining that i'm some tough and handsome conqueror. But i have to admit that i love to picture myself as George Washington though. 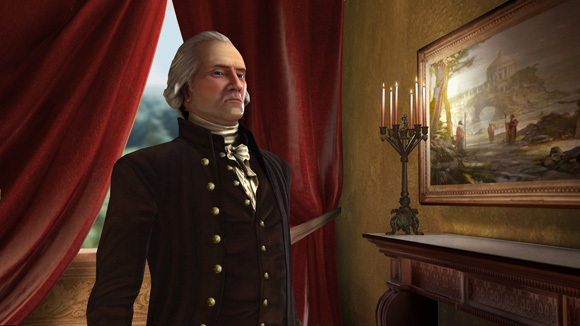 And in case you're wondering, the game that i'm so hooked on is the newly released Sid Meier's Civilization IV. Don't play it. Or else you never see civilization ever again. And could someone please get here with the crowbar already? Because now i feel like shitting. Well, being the paranoid me, after more than three weeks of silence since the first e-mail, i decided to inquire about whether will the phone be arriving or not or whether they're still mining the materials needed to produce my phone. A simple mathematical calculation would make you realize that three plus two equals to five weeks in total for waiting for the phone to be ready. I think they're really mining the materials for the phone. 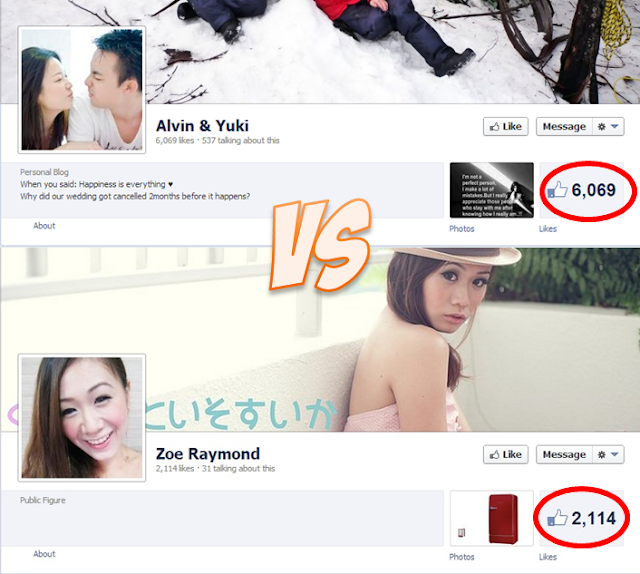 Proves to you that competitions are not always as good as they seem. Even if you win, there's a chance that you'll not be getting what was offered in the first place thanks to a common terms and conditions that can be found in almost every competition. 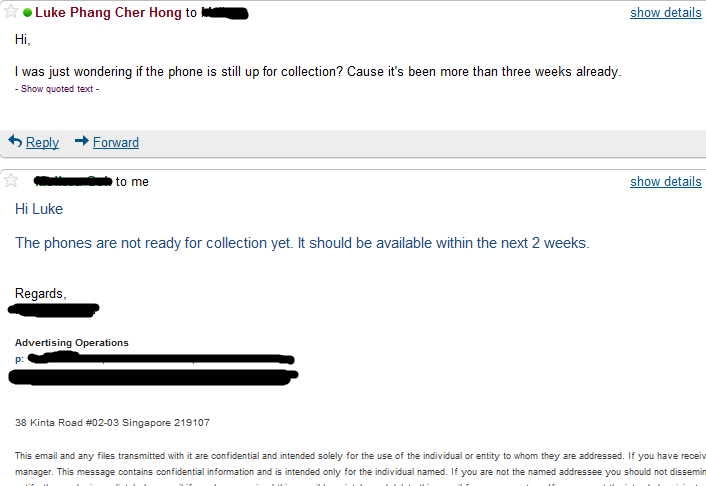 Okay, i have to first clarify that i have zero knowledge of phones when i replied that email. And i fully trusted this person who sent me this email that Nokia was indeed being kind hearted enough to give me a better gift. Only after i did a Google search and ask opinions from Facebook did i realize that the latest handset isn't that latest after all. Compared to the X6, the X3's camera 1.8 megapixels poorer than the X6's camera and it's a slide phone with keypad while the X6 is fully touch screen. On top of that, it has a real smaller screen too. To put it bluntly, the latest Nokia X3 they're offering me is nowhere near in quality as compared to the X6. Heck even my N79 beats it hands down. So i immediately sent an email asking if i could retract my yes. Two days have passed and i have yet to receive an answer. Perhaps it's not working days, but yeah the lesson from the incident was obvious. 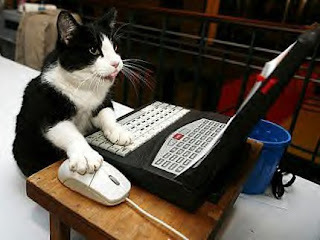 Blogging competitions, or any competitions for that matter, should be treated with caution. 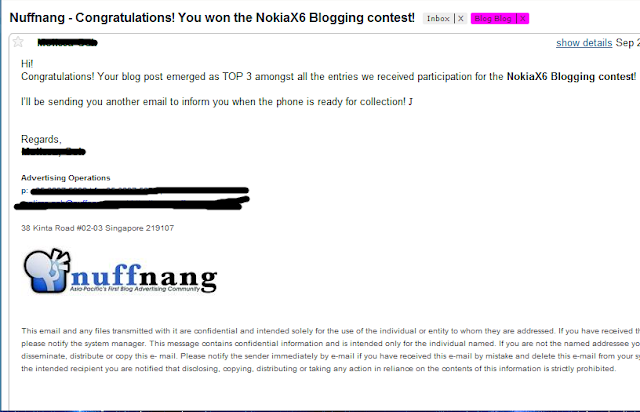 And winning a blogging contest is not necessarily a good thing too, because there's no guarantee you'll get the prize. I'm wondering if i can sue the company if they do not give me the prize, but being the passive compliant guy i am, i could only rant in my blog. And if you happen to be a blogger or have any blogger friends, do spread the message. I'm not saying that the organizers were all wrong, but the speed of how they're handling this matter is appalling. Can't always trust all these contests, you know. So think twice before joining any blog competitions / blog contests. Is it trustworthy? Is it worth putting the effort in if you can't even get the prize after you win? As you can see, i did not censor the name of the company out from the email. If you happen to be a blogger from Malaysia and Singapore, Nuffnang should be a very familiar name to you. It's such a shame that one event like this could ruin the respect i have for Nuffnang over the years. Well, i do hope that this is only an isolated incident, but i admit that i will go into a Rambo mood shooting everyone when i don't get the things that were promised after a period of time. Sheesh. Well, at least something good did happen, aside from the two not-so-good incidents up there but that's for another blog post. Perhaps tomorrow. Now i gotta go sleep to cool off. Night.